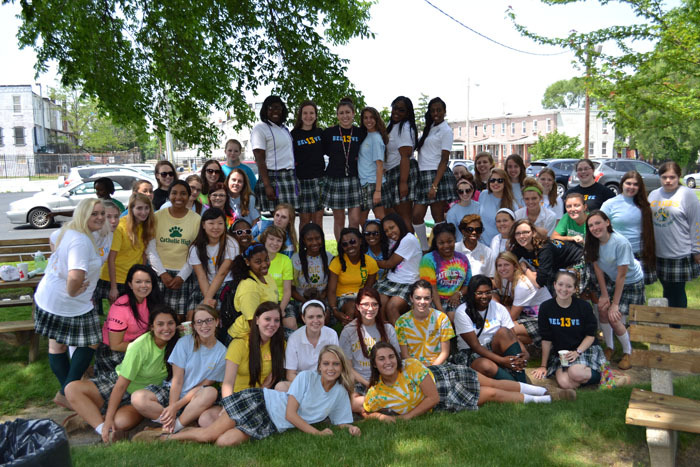 Throughout the school year, Catholic High students take part in many special events. Read below to find out more about them. Hello Day is an annual tradition at Catholic High. 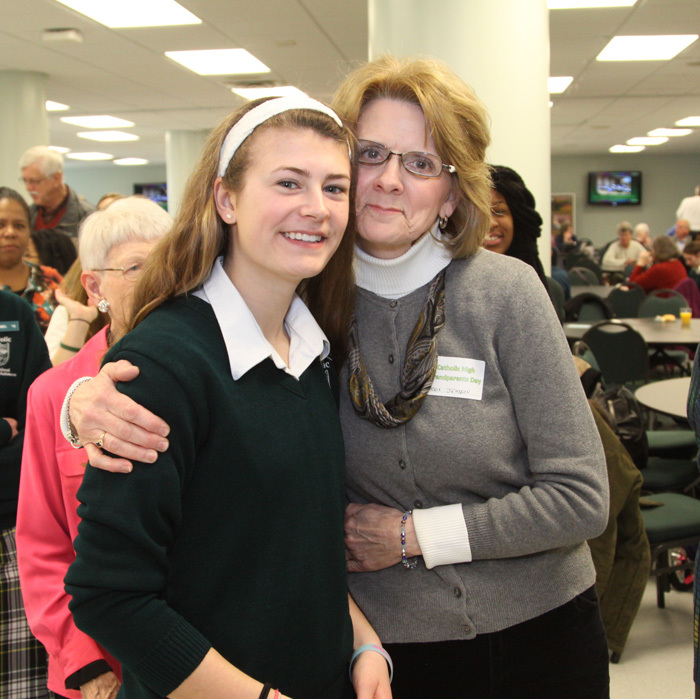 Seniors welcome freshmen into the Catholic High family. The day begins in the cafeteria where Big Sisters present their Little Sisters with baskets filled with stuffed teddy bears, candy, and balloons. After lunch, the auditorium fills with laughter and excitement as the students, faculty, and staff perform skits that introduce the freshmen to life at Catholic High. 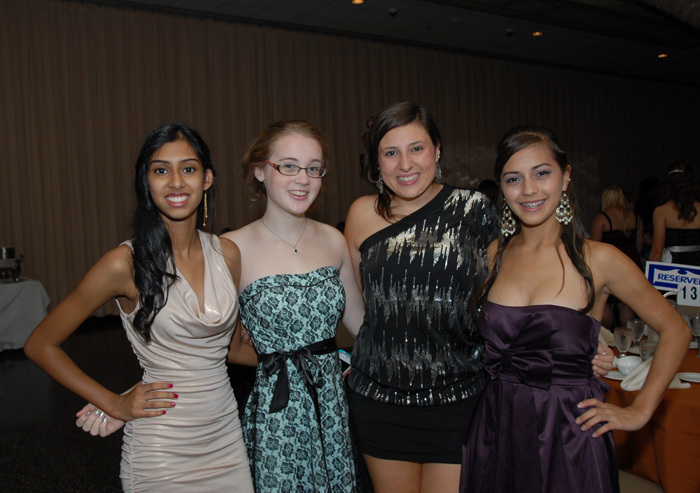 Harvest Ball is a dance held each year in November for the Seniors and Juniors. 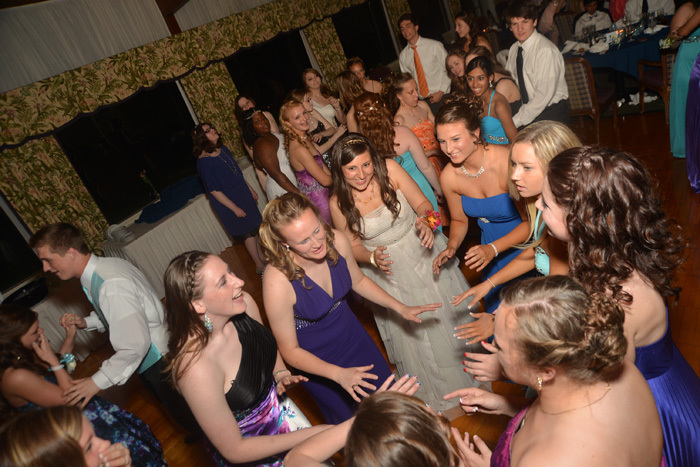 For Juniors, it is their first off-site formal dance. For Seniors, it is the beginning of an unforgettable year. 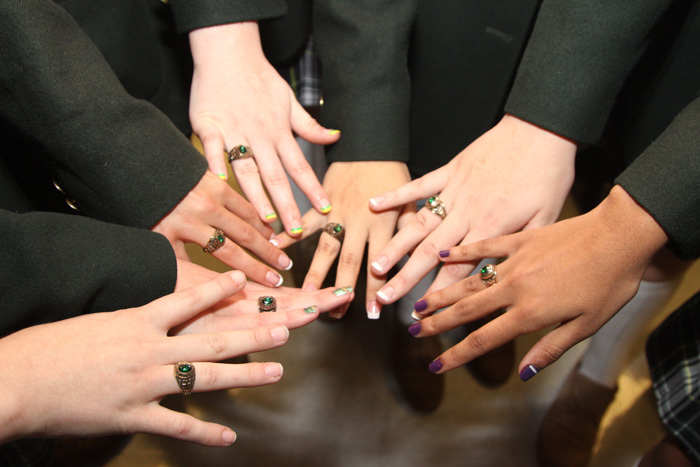 During the Junior Ring Liturgy, members of the junior class officially become upperclassmen with the reception of their class rings. 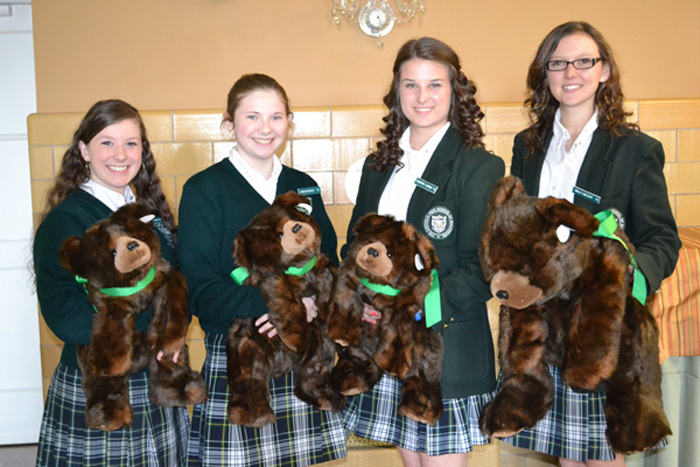 This tradition is one of the highlights of our students' four years at Catholic high. 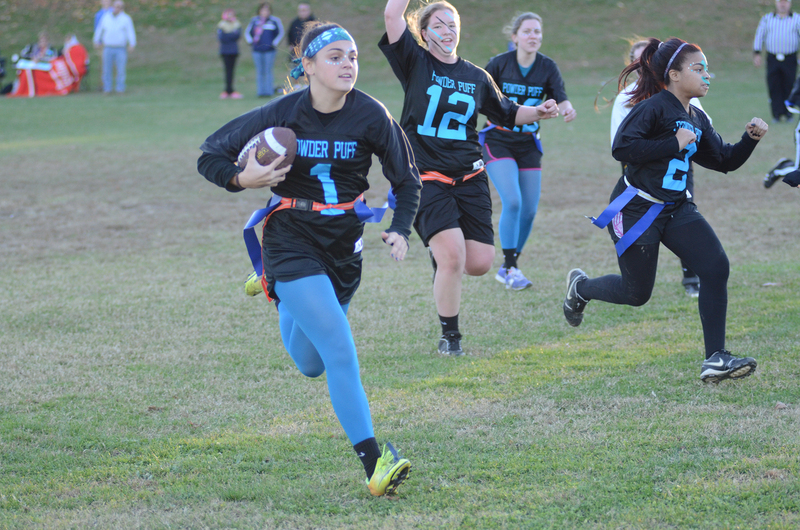 The Junior class plays the Senior class in a Powder Puff Game every November. 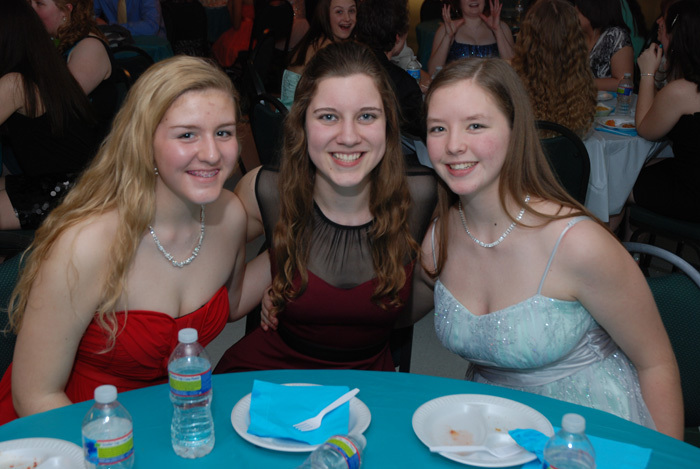 Sophomore Dance is the first semi-formal dance for Catholic High students. The dance, held in the Catholic High Dining Hall, gives Sophomores a night of their own to come together as a class, introducing their class colors and song. It is a memorable night filled with fun and friends. 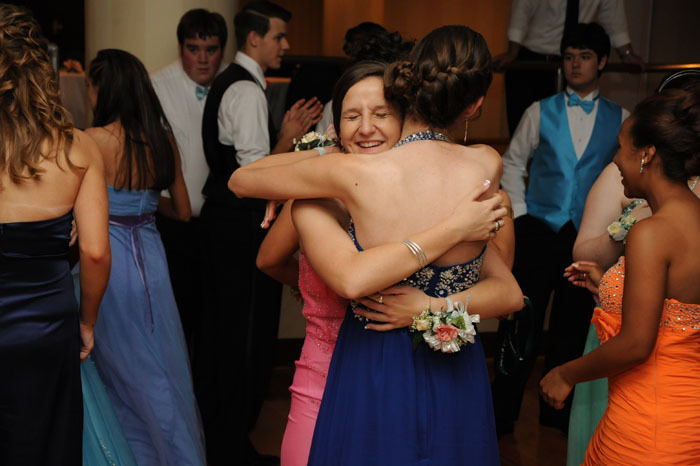 Junior Prom is a night when the Junior class celebrates the unity and spirit of their class. It is their first prom together and their last event before Senior year. Senior Prom is a magical night which brings the graduating class together for one last dance. Every year, The Catholic High School of Baltimore holds its traditional Senior Farewell Assembly. Although many tears are shed, there is always plenty of laughter as the Seniors take a look back at their four years together at Catholic High. Baccalaureate Liturgy and Commencement Exercises are held at The Cathedral of Mary Our Queen on the same day in May. It is one of the most memorable nights in a Catholic High student's life. Baccalaureate Liturgy is a special Liturgy for graduates, celebrating four years of faith and hope. Surrounded by family and friends, Seniors receive their diplomas and become Catholic High's newest alumnae. Graduates wear the traditional white cap and gown along with white gloves. Every season the Catholic High community comes together to celebrate our athletes. In the fall, we recognize our Varsity and JV Soccer, Varsity and JV Volleyball, Varsity Cross Country, and Varsity Field Hockey. In the winter, we recognize those who participate in Varsity and JV Basketball, Varsity and JV Cheerleaders, Varsity Dance, Varsity Indoor Track and Field, and Varsity Swimming. With the arrival of spring and warmer weather, we recognize Varsity and JV Lacrosse, Varsity and JV Softball, Varsity Track and Field, and Varsity Golf. Grandparents of Catholic High students are invited to school for a Liturgy, celebrating the special role they play in a student's life. Miss Catholic High and Students of the Year are honored at the end of the school year during the Miss Catholic High Assembly. After an unforgettable evening at Prom, the Seniors head to the After-Prom Party. Sponsored by the After-Prom Party Committee, the After-Prom Party provides a fun and safe place for Seniors and their dates to spend time together. Every year, in a school-wide celebration, Catholic High says thank you and good-bye to graduating athletes. Each Senior athlete receives flowers, balloons, and a spirit stick. As the celebration comes to an end, Seniors pass their spirit sticks onto their Little Sisters to continue the spirit and tradition that is Catholic High.